The Guardian/Leftist Rag : What is happening? 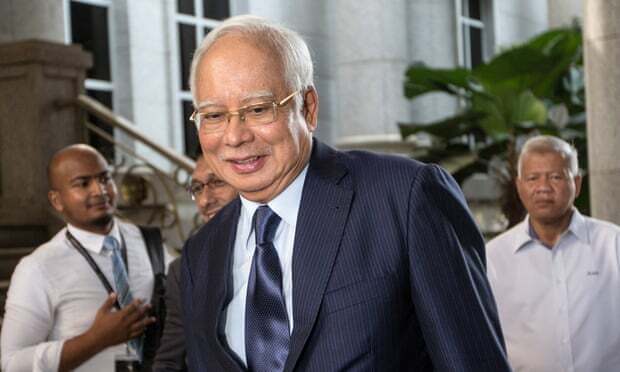 On Wednesday, the trial of the former Malaysian prime minister Najib Razak will finally begin, after a two-month delay. Najib, who was unexpectedly toppled from power in a general election in May 2018, has been arrested multiple times over the past year on charges relating to 1MDB, a vast corruption scandal which saw billions of dollars embezzled from a Malaysian state fund set up by Najib.